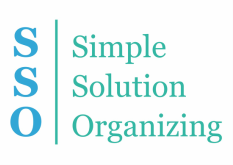 Would you like help getting organized? A client told me my service is therapeutic, I think that is a wonderful complement. Declutteing and organizing is a therapeutic experience..
Our client's are unique and diverse, just like the organizing projects we tackle. We work with client's that are organized but are temporarily stuck. Having a second set of eyes and a professional opinion can make all the difference. Our clients are thrilled with the results and happy that they made the tough decision to give us a call. We offer a 2 hour minimum appointment; 2 hours might be all you need to get you motivated again. We also work with chronically disorganized clients. We can work with you on a continual basis. We have many clients that we work with monthly. We will help you implement systems to keep you organized. Let us transform your chaos & clutter into a place you love! Consultations and work performed are confidential. Every client is provided a confidentiality agreement. We work with all types of clients, including Chronically Disorganized and Attention Deficit Disorder. Among other services, we can supply organizational products and make recommendations. We work independently on projects or side by side with our clients. Consultations, evaluations and organizing fee structure are available on an hourly or package rate. We require a two hour minimum for hourly clients. If you reside an hour or more from Athens we require a four hour minimum. .
Keep in mind, getting organized is an investment in your life. You will save money, time and reduce stress.